floral-fatigue: A little bit of advice. If you're at all like me and you enjoy reading books and also watching films, it's irritating when you have your heart set on reading a book, and then you see that the movie is being released. Another one of those teen-fantasy fiction novels. Basically twilight. I'm not a massive fan of twilight but I thought there might be those of you who are, and who would love to watch this film and or read the novel. 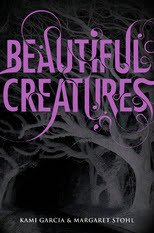 The Authors are Kami Garcia and Margaret Stohl, and have written several other books in the same series. From watching the trailer I think it is the story of a family of casters, or sorcerers. 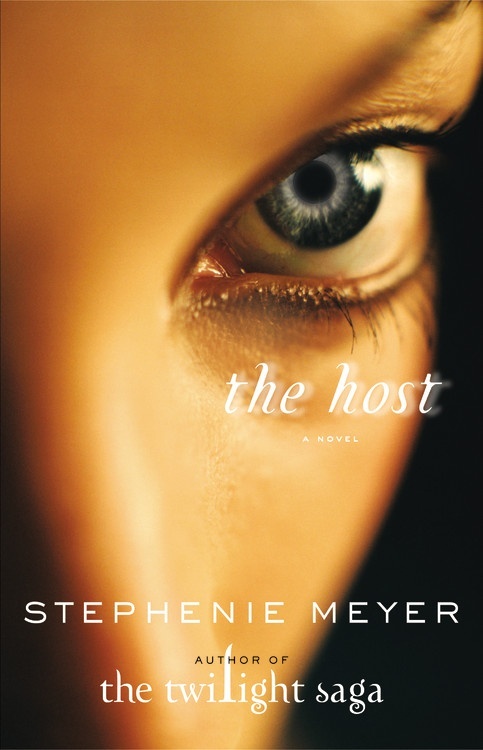 The protagonist is a girl named Lena, but the novel is told by a human boy called Ethan. Together they uncover dark secrets about their family and the town. Also her struggle to steer to the light or the dark. Who's starring in it? Well, there are big names like Emma Thompson, Jeremy Irons and Viola Davis. But there are also some smaller names that you may not have heard of but might recognise like Emmy Rossum and Alice Englert. Ok ok, yet again it's a teen-fantasy fiction novel. But I have to say that I've actually read this book and loved it so much. It is 100x's better than the twilight novels and is great because it's a single novel, no 'saga' nonsense. Stephenie Meyer is not my favourite author but she's written this book so well that I wonder whether it's the same author! Ok so there is a love triangle, and supernatural beings, but because there's none of that 'oh Edward is my whole life, I'm really deep because he can't read my mind omg', it doesn't have the same irritating quality as Twilight does - sorry all you twi-hards. It's just the story of the struggle of identity, and most of all a parasitic alien soul that is injected into a human body, in this case Melanie Stryder. Alongside a rebellion and a bit of secret missions, an all around interesting film, and probably a good one to go see with your friends. 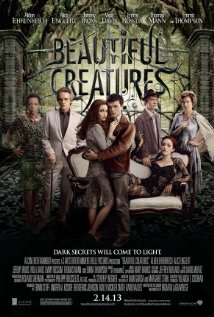 The cast boasts the brilliant Soairse Ronan, Diane Kruger, Max Irons, and the quite lovely Jake Abel. A classic. This novel has been raved about for many years and it's one of those that never really gets old. I have to admit, I did it for English Lit A-level and did not like it one bit, but that was probably because I was having to analyse it before I had even managed to enjoy the brilliance of the book. Please read this. Please. The film will be directed by Baz Luhrmann and you might know that his films are always great, so his interpretation of the novel must be too. Set during the 1920's in amongst the uproar of the prohibition, bootleggers, and just before the great crash of wall street, Nick, the narrator, finds his way to New York. 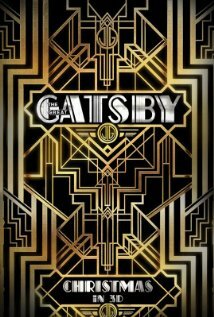 He is fascinated by the truly lavish lifestyle of his mysterious neighbour Gatsby, and eventually becomes part of Gatsby's circle, learning all about his great romance and forbidden love. A tragedy in the simplest sense, Fitzgerald uniquely interprets the grandure of the time and the gaps in the curtains shall we say. If that doesn't call out to you read this! then maybe the cast list might; Carey Mulligan, Leonardo DiCaprio, Isla Fisher and Tobey Maguire are some of the big names that are starring. The second in the trilogy. I have to say that I really enjoyed reading them all. They are so easy to read that I read all 3 in 3 days, after I begged my mum to take me to buy the third as I only had the first and second and couldn't wait to find out what happens. It's one of those where you either love it or think it's stupid, and personally I love it hehe. I would most definitely advise reading all three books before you go and see it and this comes out in November so you have plenty of time. I won't say much about what happens in this one but I wouldn't say that it's what you expect... unless you already know in which case it's exactly what you expect. 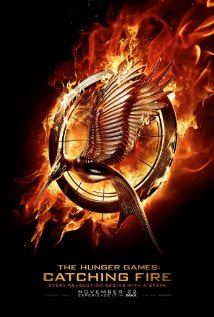 Obviously the protagonist is still Katniss Everdeen played by the beautiful and hilarious Jennifer Lawrence and Peeta played by the oh-so-fine Josh Hutcherson (can he get any more attractive!?) basically the same big bucks box office hit with more development into all of the characters. Read read read it before hand, you'll be glad you did. I don't know much about this story, but Stephen King has never been a writer that I was allowed to venture into. His works are always so dark and horrific that my fragile mind might actually be scarred for life. 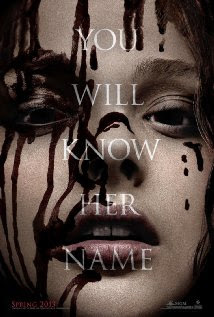 The protagonist (obviously) is "Carrie White, a lonely and awkward teen who is constantly bullied at school by her peers, and beaten at home by the hands of her religious mother. 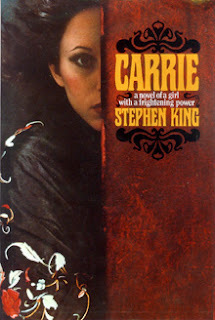 But Carrie has a secret: She's been blessed with the terrifying power of telekinesis; and when her peers decide to pull a prank on her at prom, they'll soon learn a deadly lesson: If you play with fire, you get burned." Chloë Grace Moretz stars in this film alongside Julianne Moore, Judy Greer, Gabriella Wilde, and a list of other lesser known actors. Should be good, if you like horror stories. (No movie poster as of yet.) 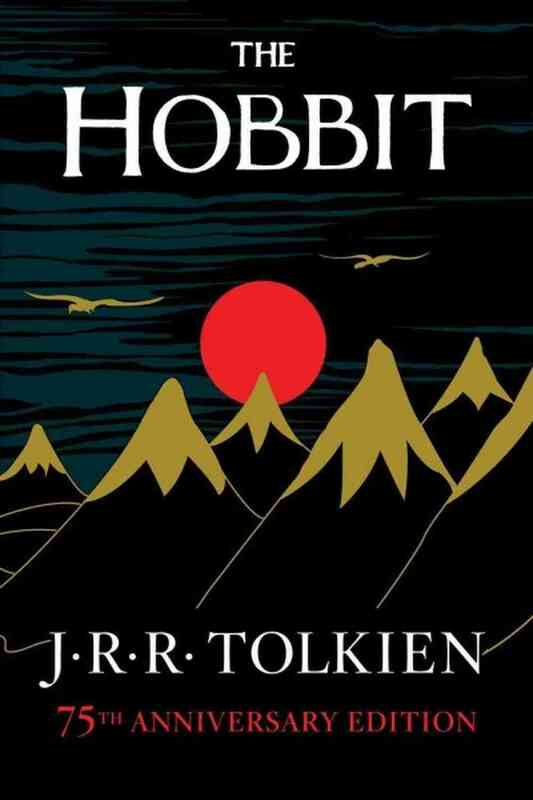 If, like me, you went to see The Hobbit without having read the book first, you'll be kicking yourself. All of the books that I have ever read in my lifetime have either been by my own finding or by my grandmother's recommendation. As she isn't necessarily a fantasy fan, she wouldn't have really advised me to read this book when I was younger, but as I have gotten older, I have really gotten into all the fantasy and sic-fi genre from Star Trek to Harry Potter, they are my favourite type of book and film. So The Hobbit is actually quite a short book and how they have managed to extend the whole book into 3 films is a mystery. In An Unexpected Journey, we ended at the scene where the group of dwarves and their burglar Hobbit friend, Bilbo Baggins, had returned to the Dwarf Kingdom of Erebor, where the dragon Smaug still lay surrounded by their gold. We already know that Bilbo now has the 'desired object' (for those of you who haven't seen it, I'm trying not to spoil it) and basically they are trying to reclaim their Kingdom and rid the dragon of the mountain :) So, in this one there is: Richard Armitage, Bendedict Cumberbatch(yes! ), Martin Freeman, Sir Ian McKellen (I've met him, he's great), Aidan Turner, Elijah Wood, Cate Blanchett, Hugo Weaving, Andy Serkis, James Nesbitt, Dean O'Gormann, Christopher Lee, Luke Evans, Lee Pace, and Evangeline Lilly, she was in Lost.